Term Details: Based on operational requirements, there will also be opportunity for Emergency contracts. This position is a LES (Locally Engaged Staff) position, subject to the Terms and Conditions of Employment for LES in Tanzania. Under general supervision of the Migration Program Manager or an Officer, the successful candidate will support the delivery of Immigration, Refugees, and Citizenship Canada programs through furthering the processing of applications using procedural expertise and exercising judgement, applying a developed knowledge of established guidelines, conducting research to support information gathering for the processing of applications, and exercising initiative in organizing work, tracking resources, and resolving difficult problems. The successful candidate may be required to travel within Tanzania and neighbouring countries to support Officers on immigration interview trips and may be called upon to assist an Officer in reporting and liaison, conduct program integrity verifications, liaise with Visa Application Centres, participate in promotion and recruitment activities or provide other support to clients. A working knowledge of local languages in Burundi, Comoros, Rwanda, Seychelles, Tanzania, Uganda, or Zambia. Work experience of at least 6 months within the last 3 years with an international organization, embassy or high commission in Tanzania or with a Canadian company or organization. Tanzanian citizenship, holder of a valid Tanzanian work permit or otherwise legally able to work at the High Commission (please note the High Commission of Canada in in Tanzania does not sponsor work authorizations directly or indirectly). Before an offer of employment can be made, candidates must provide a local address as proof of residence in the specific city, region or country so that if selected, it will appear on the offer letter. Obtain and maintain a reliability rating (security clearance) from the Government of Canada covering the entire employment period. This includes a criminal and credit background check. Open to internal and external applicants who are legal residents or citizens of Tanzania, who meet all of the essential requirements stated below, and whose applications are received by the closing date. 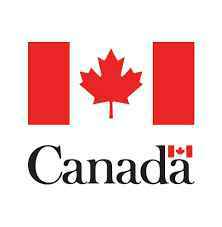 Please note that the Embassy of Canada to Tanzania does not sponsor work authorizations directly or indirectly. The Government of Canada is an equal opportunities employer and welcomes applications from diverse sections of the community. Candidates will be considered on merit regardless of ethnic origin, religious belief, gender, age, sexual orientation, disability or any other irrelevant factor. • Please follow the link http://wfca-tpce.com/vacancyView.php?requirementId=3000& and complete the online application form. • Candidates are also required to upload a cover letter and CV in English or French. Applications which do not include all of the requested documents or information will be rejected. • Candidates who are unable to submit their application due to technical difficulties must report these to: RSCEMA.PERSONNEL@international.gc.ca prior to the closing date. Failure to so will result in the application being rejected. • Only applications submitted in one of the official languages of Canada will be accepted (English or French). Candidates are entitled to participate in the recruitment process in the official language of their choice and to indicate their preferred official language in their application. • Communication for this process will be sent via email. It is the responsibility of the candidates to ensure accurate contact information is provided and updated as required. • Candidates who apply to this vacancy should include an email address that accepts email from unknown users and regularly check their email, including spam folder. • Reference checks will be sought for candidates that reach interview stage and may form part of the selection process. • The Embassy of Canada in Tanzania does not reimburse any travel costs to and from interviews/exams nor does it reimburse any relocation costs. • Candidates requiring any special assistance in attending exams or interviews are requested to inform us. • The results of this recruitment process may also be used to establish an eligibility list of qualified candidates for similar openings at the Embassy of Canada in Tanzania which might arise in the 12 months following the completion of this recruitment process.